Great new colors added in almost every style and size. The Keitech "FAT Swing Impact" is now available in 6.8-inch and 7.8-inch versions. 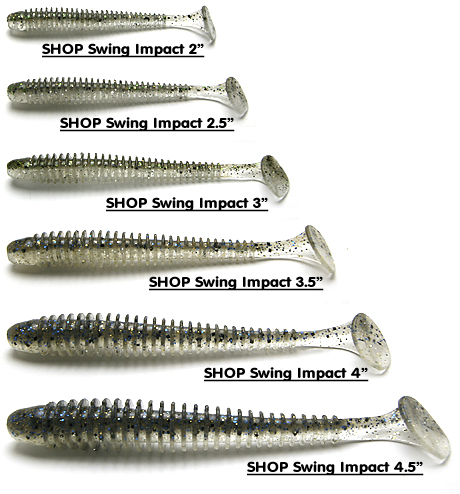 The Keitech FAT Swing Impact redefines swimbait performance. Keitech's revolutionary two-tone injection process uses several different types of salted plastics to achieve perfect balance & action. The most impressive feature of these great swim baits is the ability to maintain a perfect swimming motion at any retrieve speed. The tapered design ringed body distorts the shape to a more natural appearance. The center rigging line provides the perfect position to ensure the bait is rigged correctly. The FAT Swing Impacts are packaged in blister packs to help protect the integrity of the baits. 6.8” comes 3 per pk. & 7.8” is 2 per Pk. 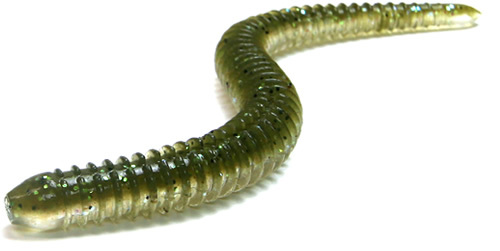 The Keitech Custom Leech is a new offering from your friends at Keitech.The segmented body provides remarkable 'life-like' action. The dual injected colors are some of our best yet! Loaded with Strong Squid scent. 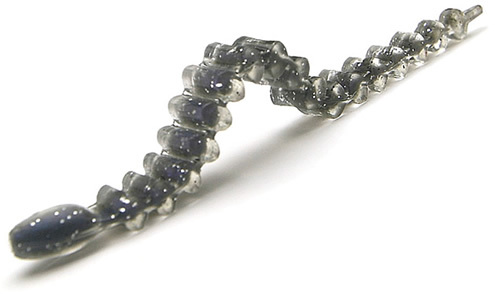 Rig it flat to mimic a Leech or rig it sideways to emulate a baitfish. 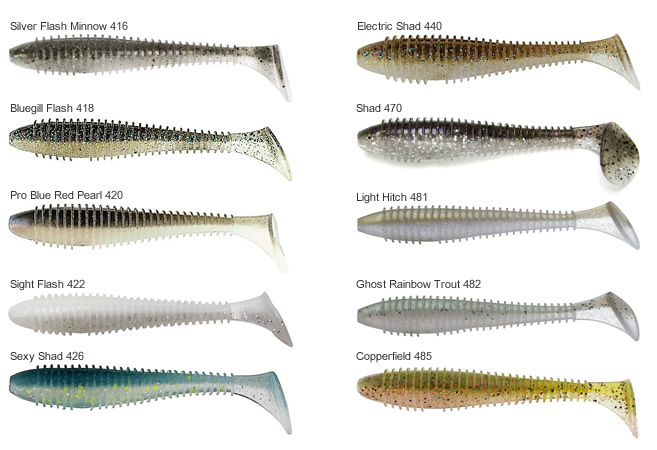 The Custom Leech will soon be a staple in your drop-shot arsenal. Keitech is proud to announce the release of the New Easy Shaker. The ringed body distorts the image to a more natural appearance while the high flotation plastic compound allow the Easy Shaker to maintain a horizontal position when rigged on the drop shot. Slight rod movements and bottom undulations create a shivering action that mimics a struggling bait fish. The Easy Shaker excels on the Shaky head. 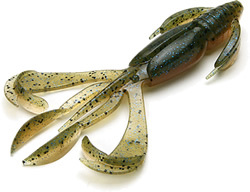 Keitech gets "Froggy" with the New Noisy Flapper.The "Noisy Flapper" buzzing frog has tremendous kicking action - even at very slow retrieve speeds. Our Patented leg design is the key to this game changer. The sharp ribbed edges catch the maximum amount of water creating a furious buzzing action. The Noisy Flapper is extremely durable and casts like a bullet. The Keitech "Swing Impact" is now available in 2.5-inch and 4.5-inch versions. The Keitech Swing Impact is a proven Tournament winner. 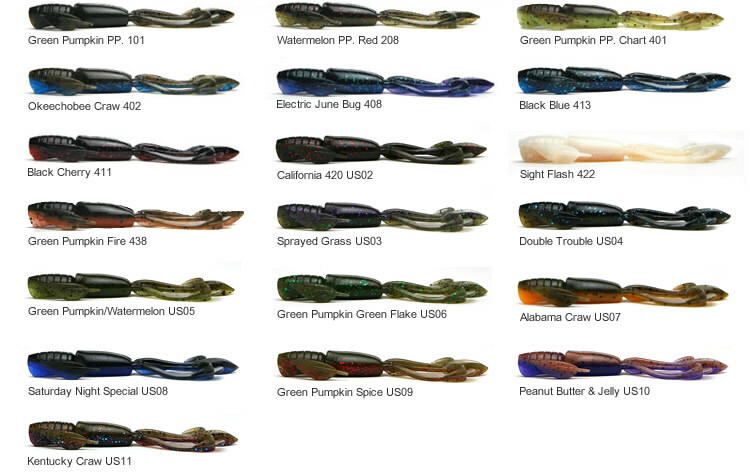 These versatile swimbaits now come in 6 great sizes to match any fishing conditions. Keitech's original two-tone color injection process uses different types of salted plastics to achieve better balance and action. The Swing Impact teamed with the Tungsten Super Round jig head and fished on the straight retrieve is our Pro-staff's 'go-to' bait. 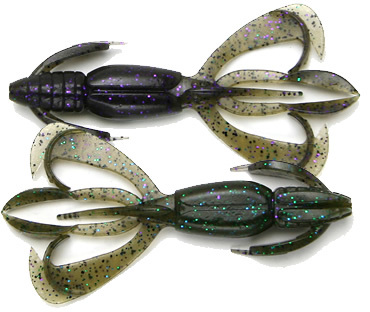 The Keitech Crazy Flapper is now available in 3 sizes (2.8", 3.6" & 4.4" inch). The "Crazy Flapper" can be Texas rigged, used on the Dropshot, and makes a great Jig trailer. Our Pro staff removes the tail segment and the appenages between the claws to create one of best jig trailers we have ever used. Incredible flappin’ arm adivtion The patented claws incorporates a revolutionary design which creates a wild flapping action. The claws and tentacles flutter following the slightest movement and require a much lighter weight to achieve maximum action. This allows the Angler to slow the fall rate, a big benefit when targeting pressured fish. The "Crazy Flapper" uses a specific blend of plastics to increase durability. This becomes a key feature when fishing heavy cover. No expense was spared to deliver the perfect action to our customers. The inner blister pack maintains the integrity of the baits. Available in lots of great fish catching colors, The Crazy Flapper is Keitech's newest addition to one of the most successful soft plastic lines available today.